The stage is set for the 2018 Maruti Suzuki Desert Storm rally. 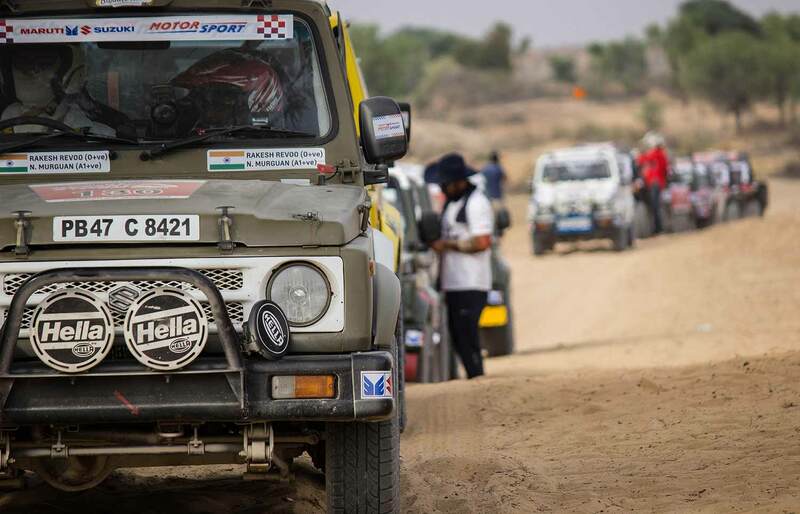 India’s longest marathonrally will see a record participation of 250 competitors, who will be vying for top honours in various categories from March 17-23 in the sprawling and arid expanse of the Thar Desert around Bikaner and Jaisalmer in Rajasthan. 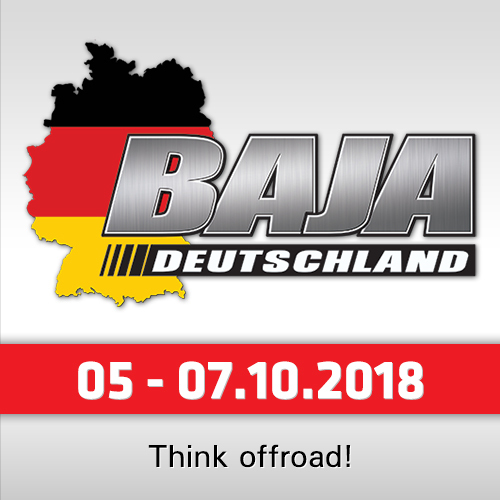 The biggest attraction of the 2018 edition of the rally is the participation of several international riders in the Moto category. Coming off a welcome break after the gruelling Dakar Rally in January, Desert Strom will mark the beginning of a new season for the international riders. The top draws include three-time winner of the Desert Storm, C.S. Santosh, who achieved his career-best finish in 34th place in this year’s Dakar, piloting a Hero-Speedbrain 450 Rally in the 14-day race across South America. 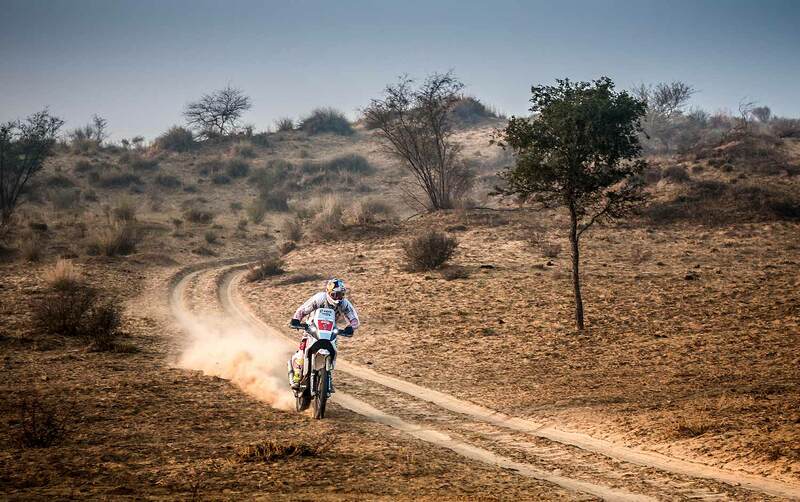 He will be riding the updated Dakar-spec bike in the sands of Rajasthan. 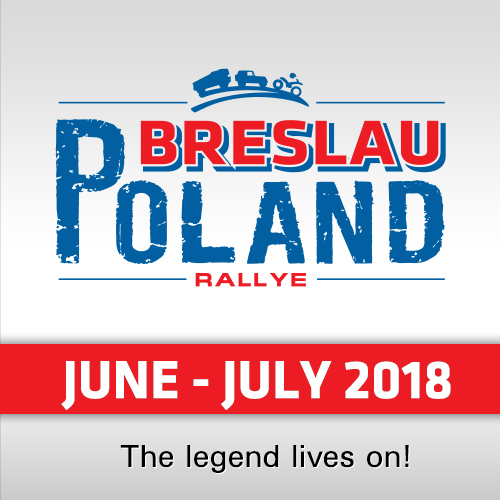 But it won’t be easy for India’s top rally-raid pilot with TVS Racing entering strong team of five riders, spearheaded by the formidable Juan Pedrero Garcia. The highly-experienced Portuguese rider finished in commendable 11th place in this year’s Dakar Rally. He will be supported by the defending champion, R. Nataraj and highly-talented Tanveer Abdul Wahid, who was the highest ranked rookie finisher in third place in the last year’s India Baja Dakar Challenge. The 2018 Maruti Suzuki Desert Storm will also see the participation of Dubai-based Angata Racing. The four-man motocross and supercrosss specialist team will be led by Aaron Mare. 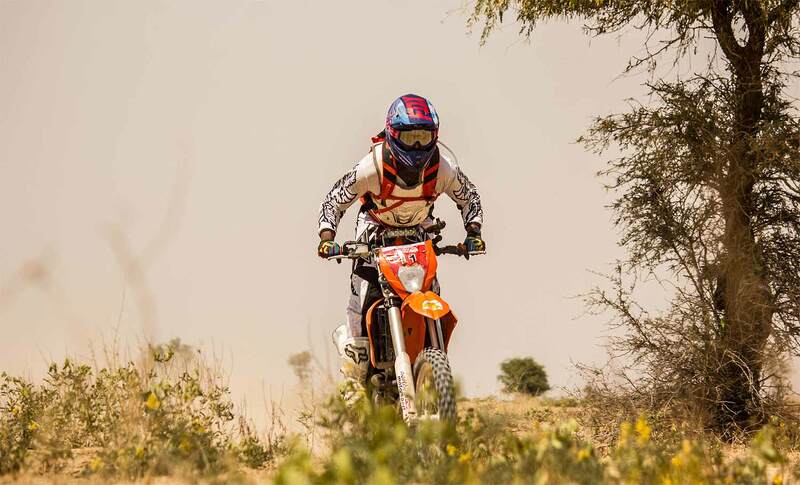 The team includes Indian rider Sanjay Kumar, who was in the front-running pack in the previous edition of the rally before being hit by mechanical issues in the dunes of Sam, Jaisalmer. In the Xtreme cars category, the spotlight will be firmly fixed on defending champion and four-time winner of Desert Storm, Suresh Rana. The driver from the Manali, who races for Team Maruti Suzuki Motorsports, is the undisputed king of cross-country rallying in India. With close to two-decades of cross-country rallying experience behind him, Rana knows all too well that nothing can be taken for granted in the this race of high iteration rate.. He will be pushed to the limit by his team-mate Samrat Yadav, who is a fast-rising name in the long distance format of rallying. The presence of local favourite, Raj Singh Rathore with his intimate knowledge of desert driving and winner of last year’s India Baja in the four-wheeler category, Gaurav Chiripal, will surely heat up the action in the scorching sand. Another past winner, Abhishek Misra, is capable of posing a serious challenge to the defending champion. The presence of an eight-man Team Army led by Lt. Col. Shakti Bajaj will also add spice to the proceedings. This year, the Desert Storm will be a lot more compact rally with the competitive stages looping around Bikaner and Jaisalmer, where the rally will be parked for four days. The competitors will be covering an approximate total distance of 2,500 km after the ceremonial flag off from Noida. 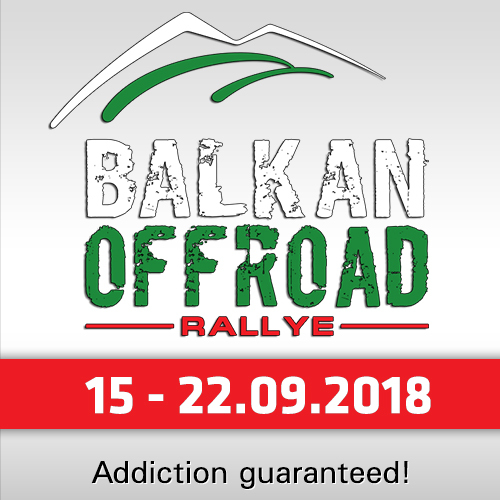 Out of this the competitive timed section will comprise 900 km over 10 stages, which is almost three times the racing distance of the entire National Rally Championship. The 200 km stage in leg three and the 160 km special that will be run in the night as part of leg four in the dunes of Sam will be high points of the 2018 edition of Desert Storm. 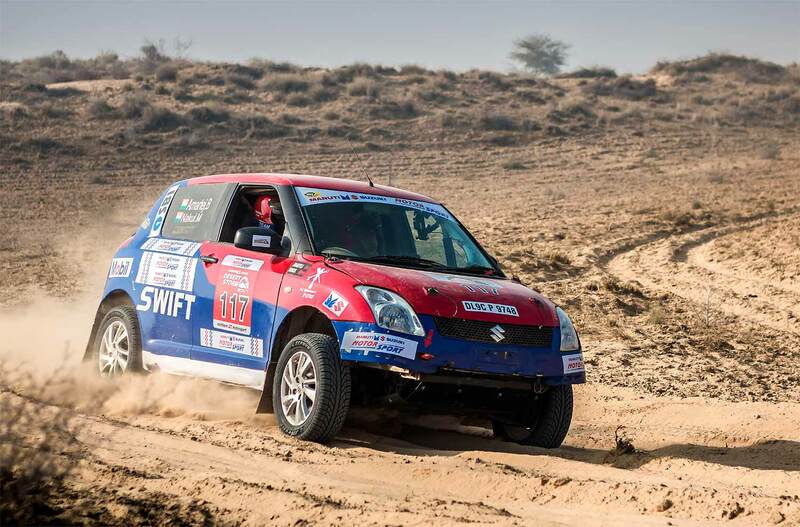 The 2018 edition of the Maruti Suzuki Desert Storm rally will run four different categories concurrently. The Xtreme cars and Moto categories will be an outright speed test in the competitive sections, while the Ndure category for four-wheel drive vehicles and the Xplore categories will be run on the Time-Speed-Distance format. 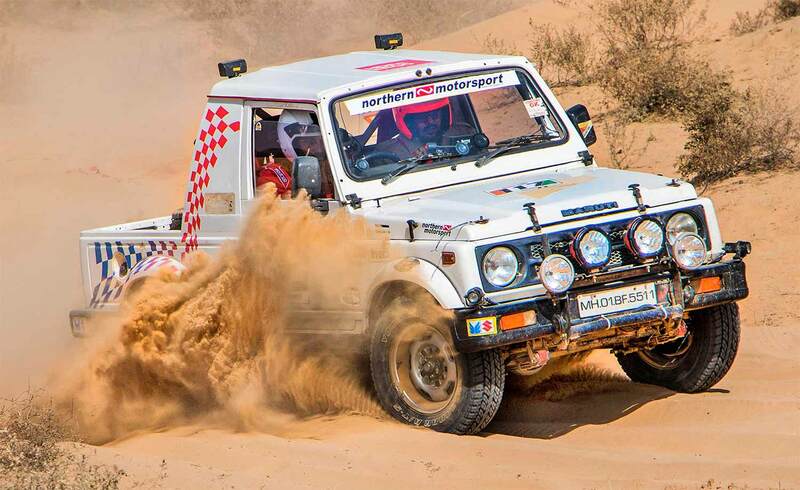 Life for navigators participating in the 2018 Maruti Suzuki Desert Storm just got a bit more interesting. This year, the organisers of the rally, Northern Motorsports, have decided to use to internationally acceptable nomenclature for roodbook instructions as mentioned in the FIA General Prescription for Cross-Country Rallying (page21). These keywords and instructions are called Lexique Road Book FIA. This has been done in an effort to align the event with international practices as laid down by the FIA. Since FIA keywords are in French language, navigators taking part in this edition of the Maruti Suzuki Desert Storm need to brush up their French OR do a bit of homework by memorising these keywords or both. The choice is yours. The entire list of keywords that will be used for instructions in the roadbooks for the 2018 Maruti Suzuki Desert Storm can be downloaded from here in PDF format. Also, it’s strongly recommended that navigators take a printout of these keywords and stick it in their cars for quick reference while racing and make notings in the language of their preference on their individual roadbooks. They are also advised to paint the roadbooks for critical instructions for quick reference.